You are viewing mini cruises on Balmoral. Click here to see all 2019 and 2020 mini cruises. Balmoral is the largest ship in the Fred Olsen fleet, but do not let that fool you – she is tiny! The 1988-built classic ship holds a just 1,350 passengers based on double occupancy. Balmoral is an excellent choice if you have sailed on larger ships and are worried about sailing on small ships. Balmoral‘s size daunts those that sail only on little ships, but she offers a perfect balance of space and entertainment. The ship boasts several restaurants, bars, cafés, a show lounge, shops, a spa and fitness room, and a couple of pools. The wrap-around promenade deck is usually busy with those eager to burn off the calories cruising adds. Balmoral entered service in 1988 and was operated by Royal Cruise Line, Norwegian Cruise Line, and Orient Lines, before Fred Olsen Cruise Lines. The 43,537 gross tonne ship has a maximum capacity of 1,778 passengers, so is ideal for anyone looking for a small (but not too small) ship experience. There are nine passenger decks. The main restaurant, Ballindalloch, is complimented by two smaller venues - Spey and Avon - which are highly sought after. Palms Café is a self-service buffet restaurant, and The Grill is a speciality steakhouse restaurant which attracts a small fee. Alternatively, dine in your cabin thanks to Room Service delivery. Order a speciality coffee at The Bookmark Café. Alternatively, head to The Lido Bar, Marquee Bar, or Observatory Lounge for full bar service. Enjoy a taste of home at the Morning Light Pub. Daily afternoon tea is available in the Observatory Lounge (for a small fee). Nightly shows take place in Neptune Lounge and activities often take place in the Lido Lounge (which also has gaming tables). Feel pampered at the Atlantis Spa & Salon, or stay active at the Fitness Centre. The outdoor swimming pools and Jacuzzis are popular in good weather, and the wraparound Promenade Deck is popular with walkers. The ship boasts an art gallery, a trio of shops, a photo gallery, a card room, a library, a Cruise Tours desk, and a busy Future Cruise Sales desk. Passengers can use the self-service Launderettes on the ship (for a fee). 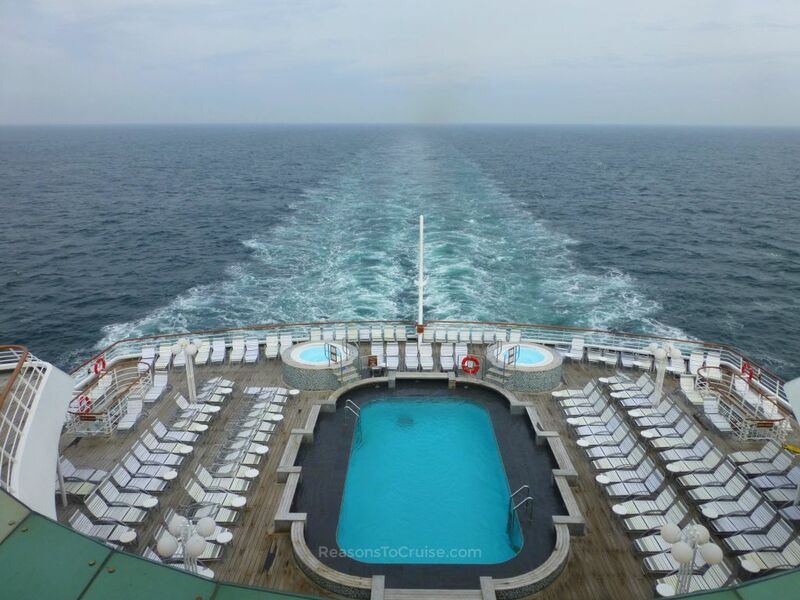 I spent a week on Balmoral in an ocean view cabin touring Northern Europe and loved the atmosphere (and food) onboard.